The most popular definition of evidence-based medicine (EBM) was proposed by Sackett et al. (1996): it is the “conscientious, explicit, and judicious use of current best evidence in making decisions about the care of individual patients” (p. 71). 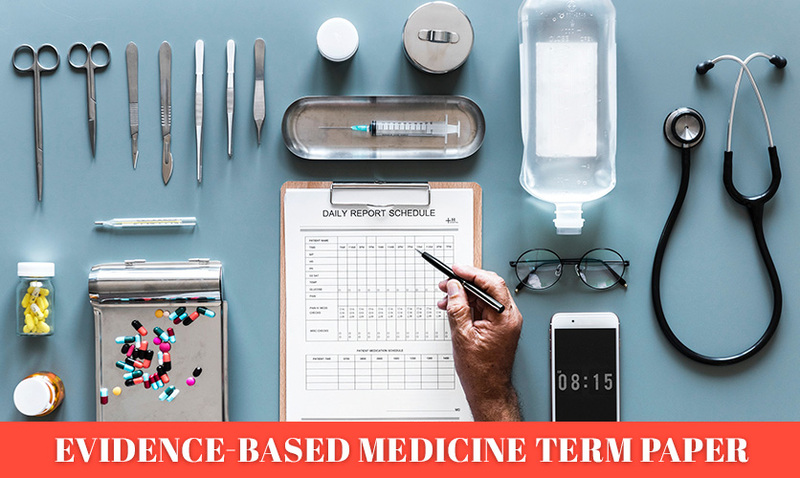 The definition lacks some essential ingredients of the EBM philosophy, which actually predetermine its smooth implementation in day-to-day clinical practices. First, EBM is a systematic approach to continuous improvement and excellence in clinical care. That is, achieving the goals and objectives of quality improvement in medicine is hardly possible without utilizing the benefits of EBM on an everyday basis. Second, EBM entails a complex ability of a clinical professional to set comprehensive questions or measurable clinical objectives that can be answered or met with the help of empirical evidence. Third, EBM should not be treated as a blind integration of all empirical evidence published by scholars in regard to medical care. On the contrary, it requires evidence to be adequately appraised prior to being integrated into patient care decisions. Haynes (2002) writes that the fundamental assumption behind EBM is that the use of empirical evidence in medicine creates sustainable preconditions for delivering superior patient care. In reality, no convincing evidence has ever been provided to confirm that the proposed assumption is correct (Haynes, 2002). Expert opinion plays one of the chief roles in advancing the message of EBM and its implications for high-quality patient care. Although EBM is inherently centered on objective evidence derived from systematic reviews and clinical trials, the significance of expert opinion should not be antiquated (Tonelli, 1999). An ideal representation of EBM is that of empirical evidence and expert opinion that create a multifaceted picture of optimal clinical care delivered for the benefit of individual patients. The building blocks of EBM have already been illustrated in the previous question: these are the clinical evidence obtained from systematic reviews and clinical trials and expert opinion that empowers medical professionals to avoid the use of methodologically flawed evidence in practice (Tonelli, 1999). Different researchers provide the different categorization of EBM and the ways it is applied in practice. Haynes (2002) speaks about basic and applied research, with the former shaping the scientific foundation for pursuing the knowledge objectives of EBM and the latter facilitating the progress of science towards its implementation at patient’s bedside. An interesting observation is that the boundary between basic and applied research is increasingly blurred. These two types of EBM represent the two opposite sides of the medical care continuum when applied models of care emerge on the basis of excellent scientific findings (Haynes, 2002). Another categorization is proposed by Eddy (2005), who captures the essence of EBM by dividing it into evidence-based guidelines and evidence-based individual decision making. Evidence-based guidelines can be fairly regarded as an imperative branch of the EBM movement, as they represent a viable way to incorporate reliable and valid evidence into clinical practice and force nurses and physicians into delivering evidence-based care to patients (Eddy, 2005). They are generic and lead to indirect clinical outcomes. Evidence-based individual decision making is the second type of EBM that brings empirical evidence closer to a patient (Eddy, 2005). The two approaches should be closely integrated and used accordingly, with the constant support of multidisciplinary teams and professionals. The key concepts in the philosophy of evidence-based medicine will vary, depending on the setting where EBM principles are applied. Undoubtedly, evidence, reliability, validity and application will shape the very basics of EBM in any clinical environment. As to the questions which EBM can reasonably answer, they can be theoretical and practical. From the standpoint of theory, EBM provides answers to the questions of whether at all certain interventions can have the potential to benefit a specific patient population. EBM is focused on the empirical analysis of the reliability and applicability of certain medical procedures rather than an exploratory analysis of changes in patients’ wellbeing. From the perspective of practice, EBM is all about the feasibility of specific interventions in a given clinical setting. It is possible to assume that EBM offers relevant answers to the questions related to advantages and practical structures to sustain evidence-based decision making in patient care. Clinical trials exemplify a foundational pillar of evidence-based medicine (EBM). It is clinical trials and systematic reviews that serve as the principal source of empirical evidence for scholars and practitioners (Tonelli, 1999). Clinical trials are intended to evaluate the actual effects and safety of a new drug or medical application, by engaging human volunteers with a specific disease (Wang & Bakhai, 2006). They are also organized to test the efficacy and safety of new medical devices or new medical care modalities. Clinical investigators who are involved in the analysis of drug safety and efficiency may also use the clinical trial design to investigate the best way of administering or withdrawing the drug, determine the optimal duration of medical treatment/intervention and evaluate the advantages of different preventative approaches (Wang & Bakhai, 2006). Clinical trials can be classified, based on their design: parallel-group, cluster randomized, factorial, and crossover trials (Wang & Bakhai, 2006). One example of a cluster randomized clinical trial was completed by Aburto et al. (2012) to evaluate the effects of a school-based intervention on physical activity in children. Surprisingly, even randomized clinical trials can be hardly regarded as a universally reliable source of evidence. Scholars in EBM acknowledge the risks and implications of bias and confounding for the outcomes of clinical trials. The risks of random error also should not be underscored. As everything else in EBM, the results of clinical trials should be critically appraised, before they are implemented. Despite the rapid popularization of EBM ideas and philosophies across all domains of medical care, the polarization of view on EBM remains a distinctive feature of medical practice. According to Timmermans & Mauck (2005), such a polarization represents a manifestation of the never-ending debate on whether medicine is an art or a science. Extreme supporters of the EBM philosophy treat it as a panacea to healthcare disparities, rising costs, and the risks of rationing (Timmermans & Mauck, 2005). It is believed to be based on the scientific standards of evidence rather than expert opinion, thus empowering physicians and nurses to allocate scarce resources more efficiently and alter generic managerial practices in ways that bring tangible advantages to patients. Such supporters are found mostly among physicians and pharmacists (Weng et al., 2013). By contrast, critics of EBM claim that it favors excessive standardization of care which, in turn, mandates resource limitations and cost control under the umbrella of managed care (Timmermans & Mack, 2005). Here, standards are synonymous to disincentives, discouraging clinicians from implementing innovative technology and medical care idiosyncrasies. Some of these competing views can be attributed to the discrepancies among different professional groups in their awareness of EBM, its essence and utility in patient care (Weng et al., 2013). Therefore, by bringing professional awareness of EBM to the desired level, the entire healthcare system will benefit its rapid implementation and subsequent diffusion of innovative results across all sectors of medicine and patient care. The intersection of EBM and quality improvement raises some of the most controversial questions in patient care. While EBM is widely utilized to pursue considerable improvements in patient care, questions are emerging as to whether it can operate at a more advanced level to achieve systemic improvements in the healthcare system. In my opinion, there is no answer to that question. On the one hand, researchers acknowledge the existing gap between what is known empirically and what is applied in practice (Glasziou, Ogrinc & Goodman, 2011). On the other hand, EBM and quality improvement are claimed to be rooted in different philosophies. Consequently, their compatibility is questionable (Shirey, Embree, Schaar & Swenty, 2011). Yet, EBM and QI can be successfully married into a single and comprehensive system of quality, where EBM functions as the source of best evidence and a prism for its critical appraisal, and quality improvement incorporates the proposed evidence into patient care. This is actually what Glasziou et al. (2011) recommend: EBM can be applied in quality improvement, when it reaches one of its last stages, namely, applying best evidence to systems of care. I envision EBM as being focused on the analysis of the best quality improvement practices, which are used to make changes as part of the quality improvement strategy. The results of a brief database search suggest that plastic and reconstructive surgery has become a field of triumph for evidence-based medicine. Published between 2012 and 2014 in peer-reviewed journals are extensive reviews of the most recent evidence with regard to various plastic and reconstructive surgery procedures, including liposuction, abdominoplasty, craniosynostosis, blepharoplasty, and others. Also notable is the emerging criticism of the major EBM flaws, which represents a new trend in EBM research within scholarly databases. Given the current popularization of the EBM philosophies and ideas, their future looks prosperous and cloudless. Yet, the complexities surrounding the utilization of EBM should not be ignored. It is possible to expect that the number of empirical studies and their results published in peer-reviewed journals will continue to grow. Every week, the Medline database alone received 8,000 new references, including at least 350 results of randomized trials (Glasziou et al., 2011). As a result, with time, EBM will have to face the dilemma of excess information, coupled with the lack of systematization and synthesis. Also, with the rising voice of EBM critics, it may lose its cutting edge and become a routine procedure with minor implications for quality improvement and care. One of the worst scenarios is turning EBM into a reality that is taken for granted and, therefore, does not produce the intended quality improvement effect. Obviously, expert opinion will retain its publicity and advanced moral fervor even as the body of published evidence becomes enormous. Consequently, future scholars and practitioners will have to constantly “refresh” the image of EBM as a source of tangible improvements and balance its advantages with those of the expert opinion shared by clinicians. Type of Clinical Trial: Interventional, randomized, safety, double-blind, prevention trial. Patient Inclusion Criteria: adults 18 to 50 years old; available for clinical follow-up through 48 weeks of the trial; proof of identity provided; informed consent; willingness to participate in the study; willingness to donate blood for future studies; no clinically significant health history; BMI less than 40 in 28 days before the enrollment; physical examination and laboratory results without any clinically significant findings; female participants either without reproductive potential or willing to practice contraception. Whether the Study Was Evidence-Based: The study was not based on any prior evidence. Potential Benefits and Disadvantages for Patients: No specific information is provided. It is possible to assume that the use of the experimental vaccine will potentially protect the subjects from the risks of contracting Ebola. The vaccine does not contain Ebola virus and, therefore, cannot cause any infection. Possible side effects of vaccination are not described. Opinion on the Value of the Study: Given the growing threat of the global Ebola epidemic, the discussed study and its result can become invaluable in the development of an Ebola vaccine. Unfortunately, the researchers tell nothing in regard to possible side effects or potential harm to patients, thus impeding the delivery of valid research results. Aburto, N. J., Fulton, J. E., Safdie, M., Duque, T., Bonveccio, A., & Rivera, J. A. (2011). Effect of a school-based intervention on physical activity: Cluster-randomized trial. Medicine & Science in Sports & Exercise, 43(10), 1898-1906. DOI: 10.1249/MSS.0b013e318217ebec. Clinical Trials. (2014). Experimental vaccine for prevention of Ebola virus infection. Clinical Trials. Eddy, D. M. (2005). Evidence-based medicine: A unified approach. Health Affairs, 24(1), 9- 17. Glasziou, P., Ogrinc, G., & Goodman, S. (2011). Can evidence-based medicine and clinical quality improvement learn from each other? BMJ Quality and Safety, 20, i13-i17. DOI: 10.1136/bmjqs.2010.046524. Haynes, R. B. (2002). What kind of evidence is it that Evidence-Based Medicine advocates want health care providers and consumers to pay attention to? BMC Health Services Research, 2, 1-7. Sackett, D. L., Rosenberg, W. M., Gray, M., Haynes, R. B., & Richardson, W. S. (1996). Evidence-based medicine: What it is and what it isn’t. British Medical Journal, 312, 71-72. Shirey, M. R., Embree, J. L., Schaar, G. L., & Swenty, C. F. (2011). Showcasting differences between quality improvement, evidence-based practice, and research. The Journal of Continuing Education in Nursing, 42(2), 57-68. Timmermans, S., & Mauck, A. (2005). 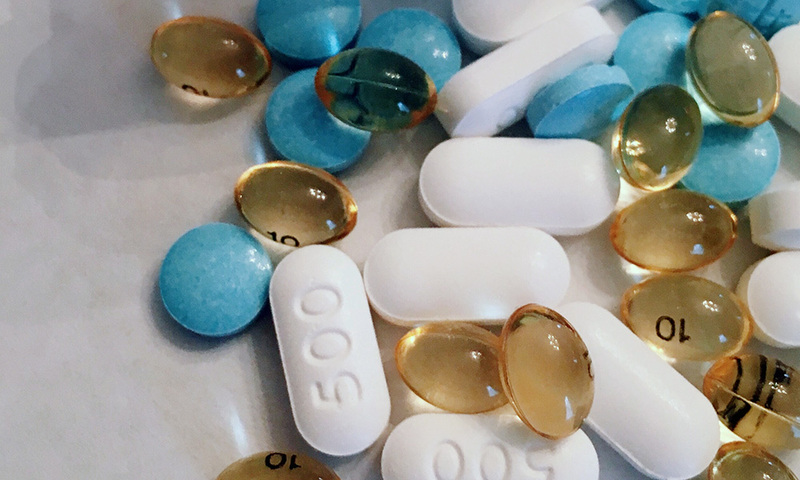 The promises and pitfalls of evidence-based medicine. Health Affairs, 24(1), 18-28. DOI: 10.1377/hlthaff.24.1.18. Tonelli, M. R. (1999). In defense of the expert opinion. Academy of Medicine, 74(11), 1187-1192. Wang, D., & Bakhai, A. (2006). Clinical trials: A practical guide to design, analysis, and reporting. Chicago, IL: Remedica. Weng, Y. H., Yang, C. Y., Lo, H. L., Chen, C., & Chiu, Y. W. (2013). Implementation of evidence-based practice across medical, nursing, pharmacological and allied healthcare professionals: A questionnaire survey in nationwide hospital settings. Implementation Science, 8, 1-10.